Create high-quality commercial real estate floor plans with RoomSketcher. Perfect for marketing commercial properties and planning fit-outs. We help thousands of real estate professionals every day with their floor plan needs. We would love to help you! Floor plans are essential for marketing commercial real estate properties. Whether you are leasing or selling a commercial property, an accurate floor plan is a must. Not only do they help you to market your property more professionally, but they assist you and your customers to plan the fit out of the space properly. Here are some of the ways that commercial real estate floor plans are most beneficial for marketing and maintaining your property. 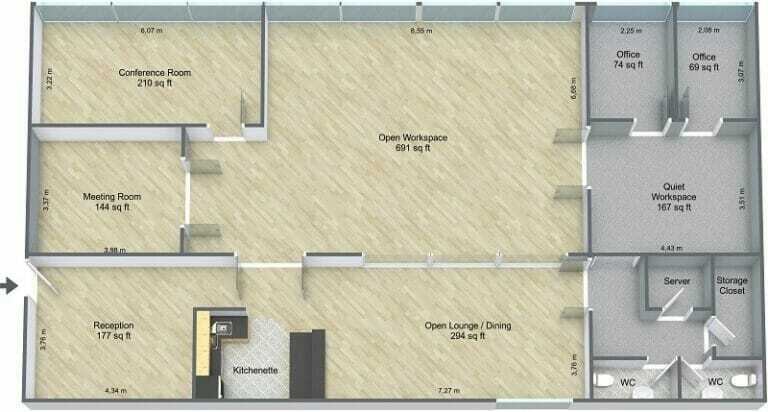 Before inquiring about a property, tenants and buyers need to know the size and layout of the space. By including clear, easy-to-read floor plans in your property listing, you make it easier for them to understand the layout and scale of your space. In fact, a recent study shows that floor plans attract more customers to your listing by as much as 52%. In addition, floor plans can save you time by eliminating unwanted inquiries. Because the floor plan empowers the potential customer to evaluate if the property is suitable for their needs, before they make an inquiry. Once you have found a tenant or buyer, your floor plans can be used to plan the fit-out of the space. Whether you offer fit–out services or your tenant must provide them, having accurate floor plans that are ready to use saves everyone both time and money. This is a value-added benefit that you can include in your marketing. Commercial real estate floor plans make it faster and easier for your customers, interior designers, and contractors to plan and visualize the layout of the interior. As well as to create proposals for any approvals that are necessary, and to obtain occupancy permits before they move in. Commercial real estate floor plans also provide long-term benefits as well. They can be included in the lease to document the condition and layout of the space before occupancy. And they can be used to assess any changes made to the space at the end of a lease. In addition to this many agencies such as the fire department, insurance providers, and security companies require floor plans in order to safeguard your property. Maximize the success of your properties by adding floor plans to your real estate marketing. With RoomSketcher, you can create high-quality commercial real estate floor plans online – quickly, easily, and affordably. Draw floor plans yourself with our easy-to-use floor plan app or order floor plans from our Floor Plan Services. 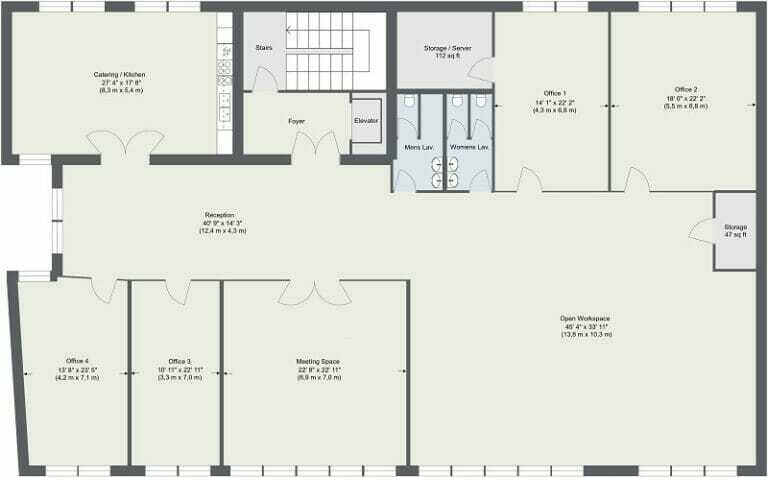 Create 2D Floor Plans that are drawn to scale and include essential details such as measurements, room names, and sizes. Create professional floor plans: black and white floor plans, or colored floor plans with your logo, property details, and more. Give your customers a clear picture of your property layout with beautiful 3D Floor Plans that show color, texture, and finishes. You can create fully furnished floor plans or floor plans that show just the shell that your customers can fit out themselves. Make it easy for customers to envision themselves in the space with a virtual Live 3D walkthrough. 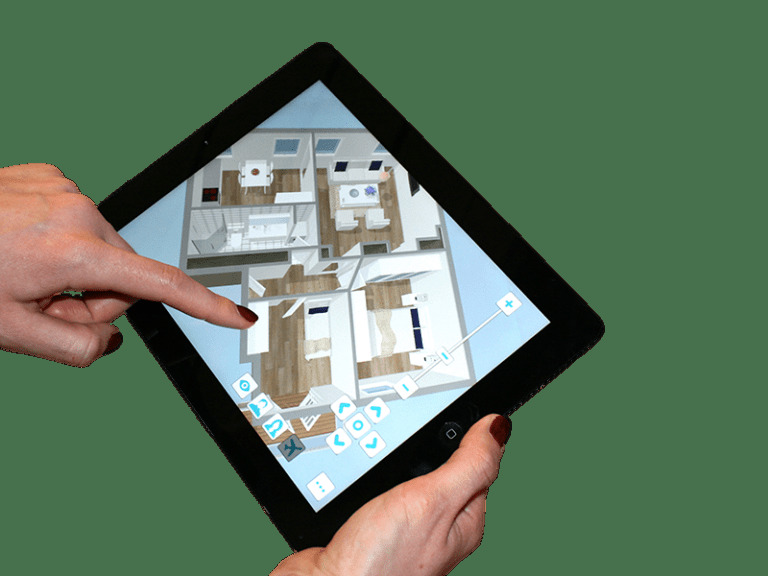 RoomSketcher Live 3D Floor Plans bring your properties to life. Allow your customers to take an interactive virtual tour of the property online – at their convenience. 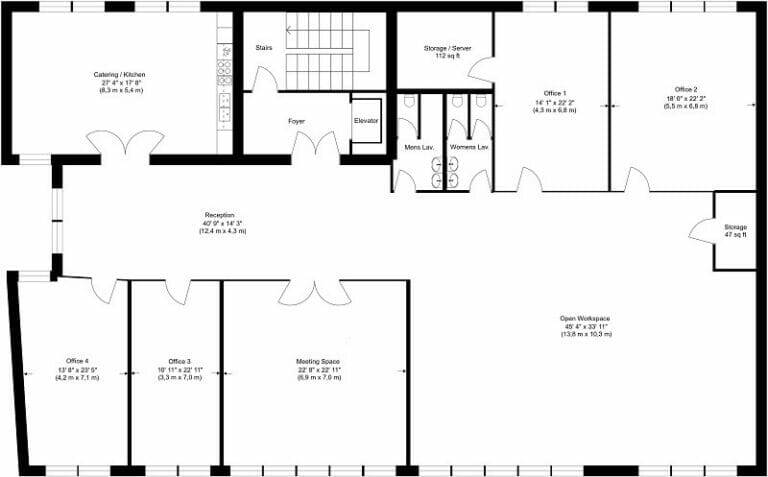 Plus with RoomSketcher, you can edit your floor plans online using the easy-to-use floor plan software. Make small changes or create alternative layouts to show your customers the potential of your space. See your changes instantly in 3D and update your floor plans at the click of a button. With RoomSketcher, it’s easy to create high-quality floor plans online for your commercial real estate marketing. Our high-resolution floor plans are optimized for print and web. Add them to your listings, website, presentations, social media, and more. 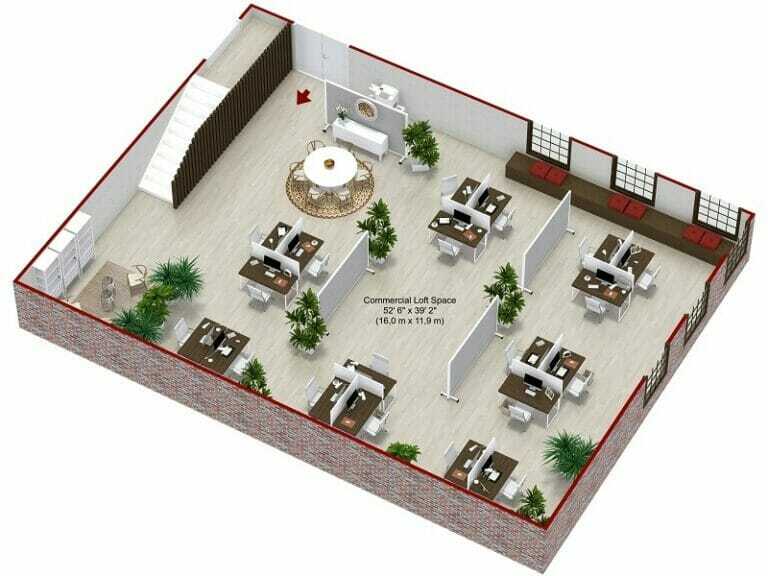 Our standard 2D Floor Plans give your customers a clear overview of the layout of your commercial property. 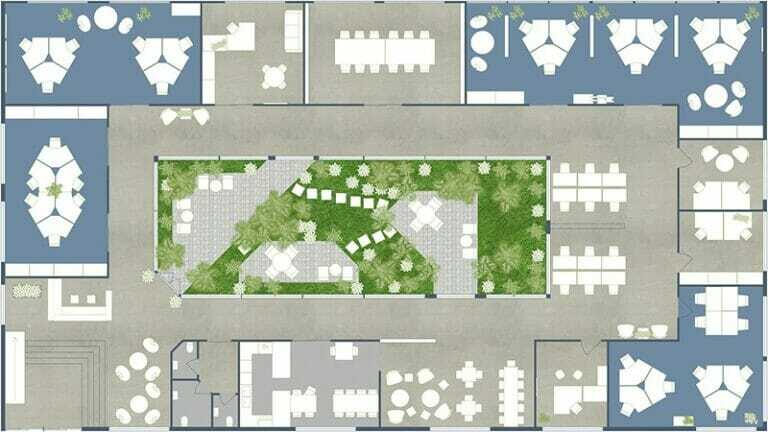 Show the layout of just the interior space or show the entire property layout including outdoor areas and parking. Indicate common service areas such as bathrooms in blue and secondary spaces including storage and utility areas in grey. 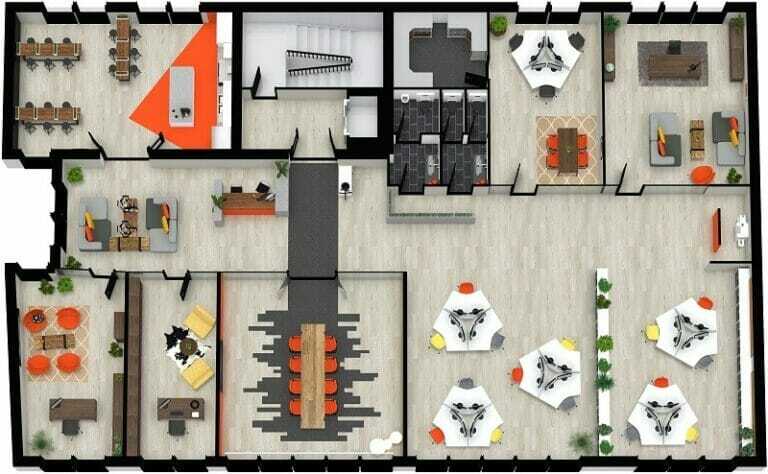 2D black and white commercial floor plans have a clean, professional look. These types of floor plans are perfect for real estate listings, commercial interior proposals, and applications for building and use permits. Add labels, room sizes in square feet or meters, length and width dimensions, and any other relevant information such as property orientation, area, appliance locations, and more. Colored commercial floor plans are useful for complex layouts and planning projects. Use color to indicate different types of zone, uses, or functions. You can also change wall colors, room colors, text colors, and more. With more than 30 different customizable settings, it’s easy to create commercial floor plans that match your project type or branding. Plus, you can set up a Floor Plan Profile, so you can use the same settings on every floor plan. Top view 3D Floor Plans give your customers a clear understanding of the size and scale of your commercial space. Include furniture to show layout possibilities or leave your floor plan unfurnished. Top view 3D Floor Plans are a great addition to commercial real estate listings and marketing materials. And they useful to illustrate the scope of commercial interior fit-out projects and renovations. 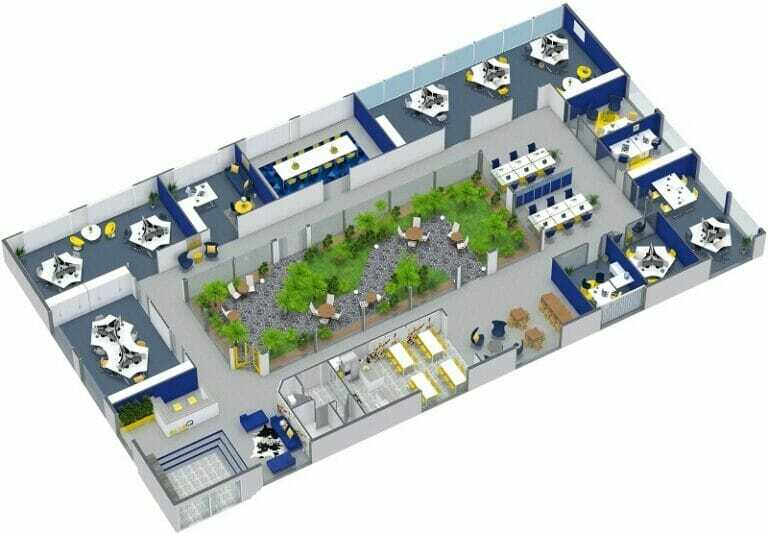 Isometric 3D Floor Plans are dynamic and can highlight different aspects of the layout of your commercial space. Choose from nine different standard angles or customize the camera settings to create your own unique perspective. Customize your 3D Floor Plans to match your property type or branding. We offer more than 20 different customizable 3D settings, to help create the floor plan style you want. Save your favorite settings to your floor plan profile to give all your 3D Floor Plans the same look. 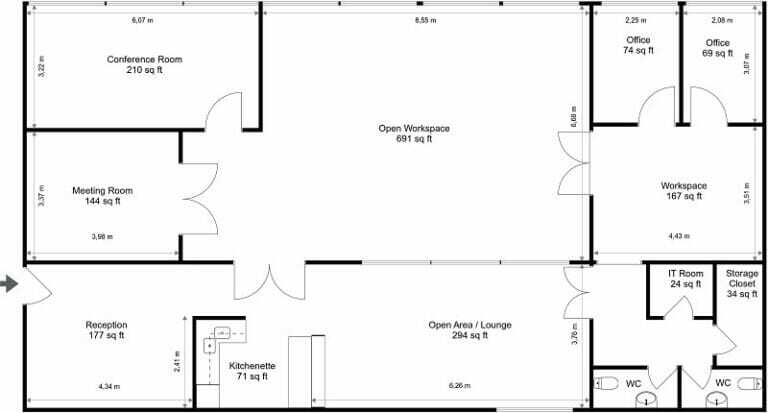 For more examples of the types of commercial real estate floor plans that you can create with RoomSketcher, see our Floor Plan Gallery.